The Parris essay is superb, and summarizes my feelings on everything perfectly. I’ve held off doing anything with the links until I can come up a more detailed ranting of my thoughts, but Parris says it much better than I could. Plus it doubles as my general thoughts on community based views of religion. Or it feels like that anyway. I think I’m about to enter my busiest work period ever. Anyway, for your amusement, check out this time-lapse map of the Middle East imperialism. Mason owns 5 miles of the proposed Beltline in northeast Atlanta. 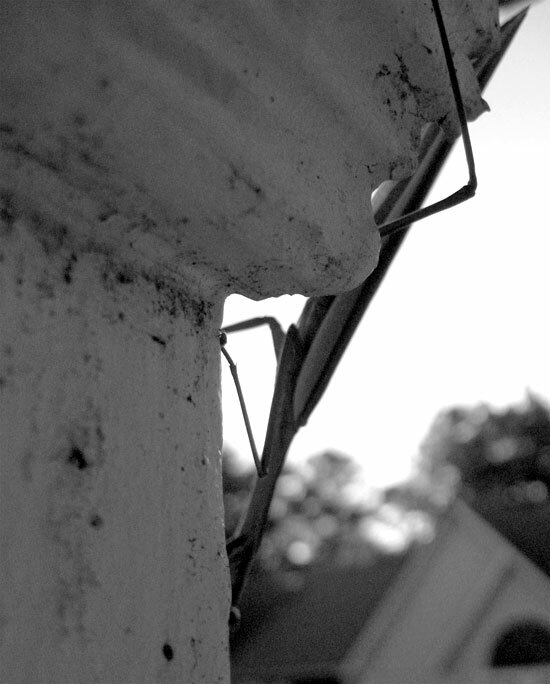 He had offered about half of his land to Atlanta for the Beltline network of transit, trails and parks. 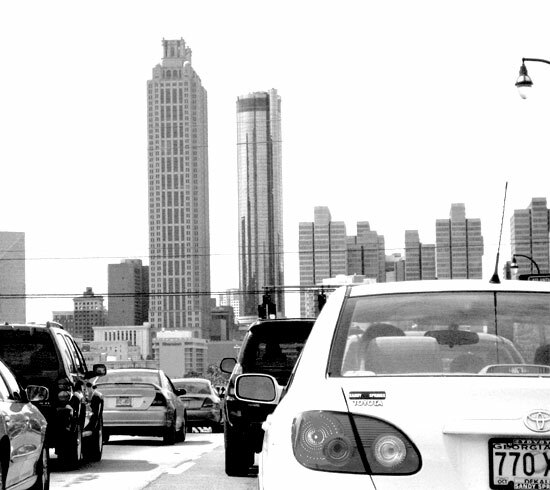 Atlanta planners rejected his offer and instead offered him a deal in which he would have donated his land to Atlanta in exchange for the right to develop about 2,000 residences anywhere in the city. What is amazing is that this is going on in public. He sells the land in exchange for permits? How is that not every definition of graft? 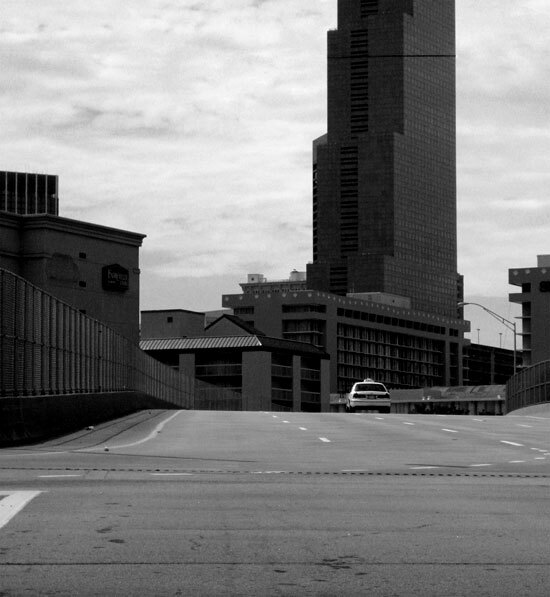 The Beltline crashes – the enthusiasm of some people for real estate scams is an enduring mystery. John Robb on what’s next in Iraq – very interesting. One thing that goes unmentioned is that the more chaotic Iraq gets, the more valuable Kurdistan gets. Also, after a certain point, a volatile Iraq becomes a liability to Iran, particularly with American troops withdrawn. Headshaver – mine is on it’s way. 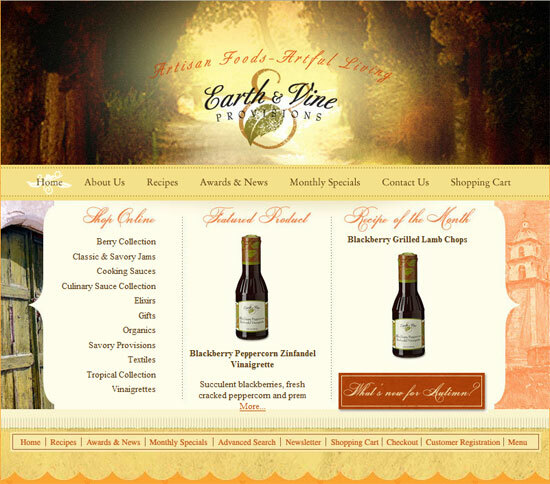 After a ton of work, the Earth and Vine web site is finally live. Foodies rejoice! The FoxNews.com website really did take a turn for the ugly and unusable. CNN.com sadly is blighted by the beligerant economic illiteracy of Lou Dobbs, which mars otherwise fine website. In FoxNews.com defense, they do have periodic columns by Wendy McElroy and Radley Balko. CNN.com has no interesting columns I know of. 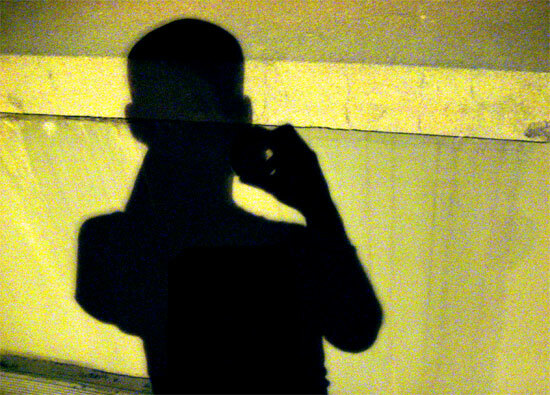 I like the shadowman the best. The angle makes it the figure more exagerated as the image gets higher. 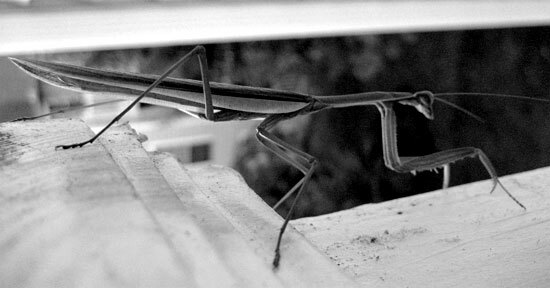 My fondness for black and white extend to the insect world, or at least to the Praying Manti. It’s not as if the opposition party has nothing to work with here. One might note the fiasco in Iraq, for example. Or OBL’s still-at-large status. Our bizarre herky-jerky stumbling into wider regional conflicts that will further take the focus off of al-Qaeda and others directly trying to kill Americans. This isn’t brain surgery. On the other hand, it’s not so easy that voters are going to believe it if Democrats don’t even try to make the case. What’s more, ducking security fights looks weak. It looks weak because it is weak. It demonstrates a lack of confidence in the party’s own ideas and people. It re-enforces everything the GOP is trying to say. Democrats need to knock this off and engage with what’s pretty clearly the central issue of our time. I think this is a good example of the Dems being more centralized (having a smaller collective brain if you will) than the Reps. Rather than picking on any of the weak points in the Republican platform, they charge groin first into the capable fists of the Republican party. I’ve said this before, the Democrats have situated themselves so that they don’t have to win elections to make money. The Israel-Hezbollah war hasn’t restarted yet. For all the conflict in Iraq, the government hasn’t fallen, nor are there several competing governments.